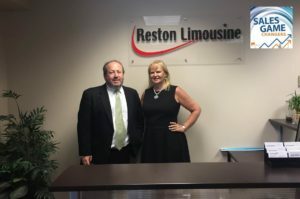 Kristina Bouweiri is the CEO and president of Reston Limousine. She’s been with the company since 1991 and ascended to the CEO role in 1993. Reston Limo offers the premier luxury transportation service in the metropolitan Washington, D.C. area with a fleet of 220 vehicles – sedans, limousines, vans and buses – 350 drivers and 60 office employees, providing service for business, special tours and special celebrations, 24 hours a day, 365 days a year. Fred Diamond: Tell us a little more about what you sell today and what excites you about that. Kristina Bouweiri: Today we are in 13 different market segments. We have government clients, we have non-government clients, we have hospitals, universities, embassies, we have tourism, we have wine tourism, brew tourism and we do weddings so one of the reasons why we are so successful is because we have diverse markets and usually all of them are busy at one time or another. We are a seasonal business so we’re super busy in spring and fall, not so busy in the summer and the winter. Fred Diamond: It’s an interesting podcast today because typically for the Sales Game Changers podcast we interview sales VP’s, chief revenue officers, chief sales officers. We’re interviewing you today – you’re a business leader obviously in the region but you really understand the sales process. You really understand that it’s about sales but your journey to get into sales was quite unique so how did you first get into sales? Tell us about what got you into this particular position. Kristina Bouweiri: I had a job with a nonprofit when I graduated from college, I only earned $17,000 a year working for them so I had an evening job waiting tables and I pretty much worked 80 hours a week to make ends meet. One day I waited on this general manager of a hotel and he said, “Quit your job and come work for me, I’ll pay you what you’re making when you combine both your jobs” so I did that and I went to go work for this hotel as the nightclub manager and did very well there but soon found myself engaged to be married and my fiancé was being transferred to Buffalo, New York. So I go up to Buffalo, New York looking for a job, couldn’t find a job anywhere, went into New York Life to apply for health insurance and they asked me if I’d like to work for them and I said, “I have no idea how to work for an insurance company.” He said, “We’re going to give you a little test. You have to score more than a 13 to be hired and the top score would be 19.” So I took that test and I scored a 19 out of 19, that’s how I ended up in sales. I went to work for New York Life and in my first year I was agent of the year and I made million dollar round table and that’s when I realized I was born to be in sales. Fred Diamond: Good for you. How did you get from selling insurance with New York Life to running a very successful transportation company? Kristina Bouweiri: After two years of selling insurance I decided I didn’t want to do that for the rest of my life and I left that job and went to work in advertising sales and it was through advertising sales and cold calling out of the yellow pages that I made an appointment to sell an ad to William Bouweiri who owned Reston Limousine. I sold him that ad and he invited me out to dinner. Many people say I found my husband in the yellow pages! Fred Diamond: Now you run a company, though, and you’re growing and you have a lot of great clients that you do some custom work for as well. Tell us what triggered how you view sales As the leader of this company where you need to constantly be selling, you’re managing a team. Tell us how you view sales as the CEO of this particular successful company. Kristina Bouweiri: When I came to work for William, he was a very corporate business only really selling corporate accounts and hotel accounts and I’m the one that said, “We need to do weddings” and I bought list of brides and I cold called brides and within a year we had 100 weddings in a weekend. That was the first market I diversified us into. Then we got an opportunity to bid on a government contract and that was a bus in Reston Virginia going from USGS in Reston into DC back and forth all day long. We won that contract and I said, “There have to be more of these” so I started researching government contracts and found out that every single agency in DC had their own bus system connecting their buildings. That’s really how I grew the business from say 5 cars to 100, was by doing government contracts and bus contracts. We had lots of buses and vans and that was our biggest niche the first 10 years, but then we ran out of our small business size and we had to diversify again. That’s when we diversified into hospitals, universities and commuter shuttles for different corporations so today we just have a real mix of different industries that use us and we still mostly have buses and vans but we also do still have Sedans, SUV’s and limousines. Fred Diamond: Tell us about the sales process for selling transportation services. Who do you target, what are some of the factors that a customer would be thinking about on the corporate side if they’re looking to hire a company that does transportation services? Kristina Bouweiri: Our buyer is usually the director of procurement and most of our contracts, 65% of my revenue comes from a sealed bid, low bid contract that is given out by the director of procurement and so that particular sales process it doesn’t really help who you know. You just have to write a great proposal, be able to deliver on the product and be able to manage a pipeline of opportunities. That’s what we do, we have a pipeline of opportunities around the city, we know when they’re coming open and we bid on them and we do a great job in our proposal and we also deliver. One of the things we do is we always ask the client to visit us in our office, meet our employees, see our infrastructure. This way they can see our shop, where we fix all of our vehicles. They can meet the team of people that will be helping them when they call and that is usually a great way to close the sale for us, is just bringing them to our office. 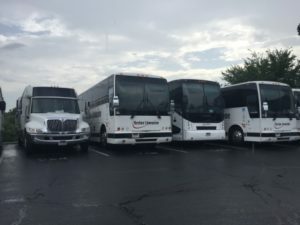 Fred Diamond: Is that a unique thing that you do at Reston Limousine or is that something that your competitors do as well? Is that one of your distinguishing things? Kristina Bouweiri: I don’t know if my competitors are doing it but I can tell you this: 90% of my competitors do not have the type of infrastructure I have, they don’t do their own mechanical work, they don’t have 10 mechanics, 10 car washers, 10 dispatchers so it’s really our size that makes us so good right now because we have infrastructure in Virginia, we have infrastructure in Maryland, we have such a large fleet that we can service people’s needs. We have a backup system in place and we can get there quickly. Fred Diamond: Very good. You mentioned your first sales job you went to New York Life, you were selling insurance and then you moved into advertising and now you’re the CEO of one of the most successful transportation companies out there. What are some of the key lessons that you learned from your first few sales jobs that have stuck with you now as you’re running Reston Limousine? Kristina Bouweiri: I learned that it’s a number’s game. When I was in insurance I had to have 10 appointments a week and I just made that happen. I didn’t stop calling until I got those 10 appointments. From the 10 appointments I could usually close two people and that was how I would sell 2 policies a week and I could do the 100 per year and make the million dollar round table. I took that same approach in the limousine business and cold called brides and made sure we booked plenty of weddings and in the government contracting space it was the same thing. We identified the opportunities and we went after them. We’re always trying to fill our pipeline of prospects and it’s the same thing if you go after universities, hospitals, every market you just have to know what’s out there, what contracts you want and then you have to go after them. Fred Diamond: Tell us what you’re an expert in. Tell us about your specific area of brilliance. Kristina Bouweiri: I think my raw talent really is marketing. I would say yes, I’m great at sales but I think marketing is where I’ve been able to really grow Reston Limousine. I’ve just been really creative and also I’m a lifelong learner so I’m always taking classes and trying to improve myself. 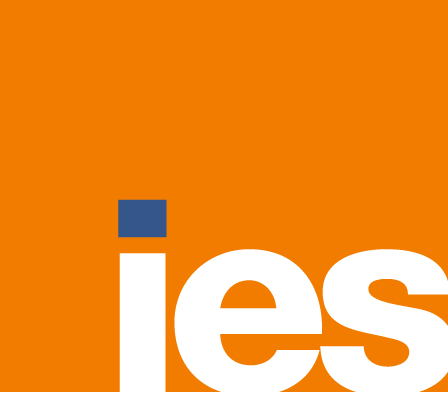 Early on I was always trying to learn better ideas on how to do everything and that is why we had a website in 1995, that is why we were in LinkedIn in 2001, we had a blog in 2005, we were on Facebook in 2007 so I’m an early adopter and I jump in and I try new things. I follow trends and I make sure that we’re always doing the latest and greatest stuff here at Reston Limousine. Fred Diamond: You said you’re a lifelong learner. What are you trying to learn right now? What are you focusing on right now? Kristina Bouweiri: I’m in an organization called Vistage which is a CEO membership organization and to join it costs about 3 thousand dollars and then you have to pay 15 hundred a month so it’s not cheap but you’re in a group with 18 CEO’s and you take a day off from work each month, you go to an offsite retreat and in the morning there’s a speaker, Harvard MBA quality speaker teaching you something and then in the afternoon we solve each other’s business problems. I’ve been in Vistage for 11 years and I feel like I could probably have an MBA with all of that knowledge I have learned. We learn things about how to recruit the best talent and how to manage a pipeline and how to get rid of your worst clients and how to go after just the best type of clients. You learn so many things in Vistage so that allows me to continuously learn every single month. Fred Diamond: Very good. One of our previous guests on the Sales Game Changers podcast was John Asher, John is a sales trainer, he’s one of the top speakers. Kristina Bouweiri: Yes, he was one of our speakers. Fred Diamond: He was episode #10 of the Sales Game Changers podcast and we also just did an episode with him talking about neuroscience and how it applies to sales. Big fan of Vistage, that’s great to know. Again, you’ve had this great career, now you run a hugely successful company. You mentioned Vistage but who are some other impactful sales career mentors? Who are some of the sales mentors you’ve had along the way that have impacted your career and your success? Kristina Bouweiri: I hired a phenomenal director of sales about 10 years ago. We met through our children’s preschool, all of our kids went to preschool together and we became friends and then she wanted to work part time while her children were in school and I hired her, and she started out just doing part time administrative work but the more time she spent at Reston Limousine, I realized how smart she is and she used to work for general dynamics in sales. I started letting her bid on our contracts and managing our pipeline and even at a part time capacity, one year she brought in four million in sales. So I said, “When your sons graduate from high school, I need you full time.” She’s now with me full time, she’s my director of sales and the woman is brilliant, she’s strategic. I’ll give you one example of something she taught me. We were bidding on a contract and she said, “Look, I’m going to make an appointment and meet with all of the people bidding on this contract” and I said, “Why? They’re our competitors.” She said, “Well, we can always learn from each other and find synergies and maybe there’ll be some contracts we want to bid on together.” When she came home from that meeting she had uncovered people that not only were going to give us business but there were so many new opportunities for us. There were opportunities for us to not only provide buses and drivers, there were other opportunities where some clients just wanted drivers and some other clients just wanted us to lease cars for them so she really opened my mind and taught me new things and so I let her handle all the proposals now and managing our pipeline and she does a fantastic job. Fred Diamond: Kristina, as a sales leader what are the two biggest challenges you face today? Kristina Bouweiri: I think the pricing wars are a problem. I just find today that consumers and businesses, they all want the lowest price. They don’t really care about the perks, they don’t really care if you have a better safety program or if you have better equipment, better drivers, everyone’s looking for the lowest price which makes it really hard because there really are few barriers to entry in my industry. Anyone can go out and buy a bus and start their limousine company with a $300 website so I’m competing with mom and pop organizations that don’t have my infrastructure expenses. With that being said, we are still winning contracts but not as many as we used to win before. We have to work harder to win and to keep growing our business so definitely the pricing wars is my biggest problem. Fred Diamond: OK. You’ve had some great successes, though. Again, I was walking around your parking lot before we had today’s interview, I see George Mason University wrapped on some of the buses, MGM, you talked about all these government agencies you’re doing some work for, you also talked about the weddings, how you started cold calling brides and started getting a lot of business that way. I see Reston Limousines all over the place, I see Reston Limousine your bus logos all over the place so you’ve obviously done a lot of things right. 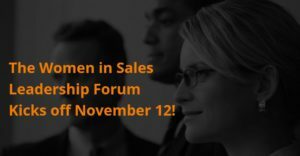 What is the #1 specific sale success or win from your career that you’re most proud of? Why don’t you take us back to that moment? Kristina Bouweiri: I think the proudest win maybe in the first 10 years was really exciting for me. I was bidding on the IRS contract, Internal Revenue Service and there was a pre-proposal conference down in DC and I was very intimidated. I was probably still in my 20’s and I was walking into this room, I was the only woman in the room. All the customers were male, all the competitors were male and I really felt like nobody thought I could win that contract and I just kept my mouth shut. I didn’t ask any questions, I just listened. I’m a great listener and I did win that contract and it was a huge four vehicle contract for IRS and the customer was so upset with their former provider that they actually built in incentives if you do a good job. They scored us every quarter and if you did a good job we got a bonus. None of that really exists anymore with the government contracts but that was the first win I was so proud of because I knew no one thought I could win it and not only did I win it but I would score 99% on those evaluations and I got a bonus every quarter. Fred Diamond: I want to get back to something you said. You said that you’re a very good listener, you said you went to that meeting, the pre-conference meeting and you just listened, you didn’t say anything. One of the constant themes we hear on the Sales Game Changers podcast when I ask the sales leaders for advice or tips for the people listening is the ability to be a better listener. How are you a good listener? Tell us some of the things that you think about that you do that has distinguished you personally as a good listener? Kristina Bouweiri: I think women are great listeners. I think we have a lot of compassion and when our employees come to us with a problem I think we’re going to sit there and listen to the situation and I think in sales you have to be a good listener because you can’t really sell a product until you know what the customer’s looking for so being a good listener and then making sure you’re really paying attention, and then you formulate your response to exactly what that customer is looking for. Listening is so important. Fred Diamond: Kristina, you run the business but you really understand sales and marketing but you just talked about how it’s getting harder on the sale side and people are looking at pricing and things like that. Did you ever say to yourself, “The sale stuff is just too hard, it’s not really for me, it’s just too much of a challenge, I’d rather not have anything to do with the sale side”? Kristina Bouweiri: I would say I’m very fortunate that I have a great team. I’ve never said that I don’t like it or don’t want to do it or be a part of it but I will say that I think many of my team members are actually better at it than I am and I let them go for it and do it. I don’t micromanage them, they do a great job so I think as an owner, yes, we all had to be in sales at one point in our career but as a CEO managing a company I don’t think myself being heavily involved in sales is a good use of my time. Other people are better at it than me and they’re the ones doing it at Reston Limousine. Fred Diamond: Kristina, what’s the most important thing you want to get across to the junior selling professionals listening to today’s podcast to help them take their career to the next level? Kristina Bouweiri: I truly believe that customers, people, want to do business with people they know and like and the best way to grow your sales is to do a lot of networking. Networking has really tripled the size of my company. The first ten years I was in business I never left my office and I got to about $5 million in revenue and then 9/11 happened and the phones stopped ringing. That’s when I started networking and what I learned out there networking was not only all the things we talked about already. I learned about trends, I learned about social media, I learned how to find better employees, I learned how to find better vendors so I’m a proponent of networking religiously if someone is in sales because people want to do business with people they like and know and it’s great to meet them at a networking event and to develop a personal relationship. Fred Diamond: Kristina, I’m also going to touch on another thing that you’re well known for is your community involvement and a lot of the philanthropy that you’re involved with, Sterling Women, for example. Can you talk a little bit about that? About how that has helped you grow your business as well and how that should be something that the sales professionals listening to today’s podcast should be thinking about? Kristina Bouweiri: We figured out a long time ago that 85% of our clients were women and when I say that I’m talking about the person that orders the transportation. They’re either an executive assistant, HR manager, office manager, wife, sister, girlfriend, mother. Women are the event planners at business and at home so I’ve always networked a lot with women and I was going to about 8 events a month for just women and none of them were near my office so I either had to go to DC or Tyson’s Corner. That’s when we decided to start our own networking event for women in Sterling, Virginia – that’s why it’s called Sterling Women – and we thought if we put on a great event, all those women would come to our event, would save us time and money. It was very self-serving because I wanted something right by my office. The very first month we thought maybe 40 women would show up and we got 80, the next month 100, third month we had 150 women coming to this networking lunch. It’s been around now for 10 years and I have 13 thousand women in business in my database. I cofounded a conference for women as well and I also do two charity events annually for women. One is called Wine, Cheese and Chocolate, the other’s called Partini. Basically Sterling Women has just continued to grow my presence in the area and helped us find a way to donate money to charities which has been great here in Loudon County. We’ve raised over $200,000 for the charities in Loudon County so this is all about networking. Getting out there, getting out of the office, getting out there meeting people, being part of a community with people, being there to support them with whatever they need, that’s been a big key to my success. Fred Diamond: 85% of your purchases are women so you’ve had to develop the business around, that’s great. What are some of the things you do to sharpen your saw and stay fresh? You mentioned you’re a lifelong learner, you mentioned you’re part of Vistage. What are some of the things that our Sales Game Changers should know that you’re also doing to keep yourself as sharp as possible? Kristina Bouweiri: I love to read. I like to read online, I don’t read a lot of newspapers or books anymore, I read a lot of things online on the internet. I go to a lot of really incredible events, I’m a member of the economic club, it’s very intellectually stimulating. I’m a member of Leadership Greater Washington, that’s another incredible group. I love to surround myself with smart people and when you belong to all these boards and events, that’s what I get. I get intellectual stimulation, I like learning from people. I’m an extrovert so I love networking and I do it religiously every single week and really that’s where I learn. Kristina Bouweiri: My biggest initiative is hiring and retaining drivers. Our business continues to grow, we’re very blessed, we need more drivers and there’s a national shortage of drivers and so we’re finding creative ways to recruit more drivers and for me it’s been like going back to the basics and doing things that I haven’t done for 25 years but it’s been great. I’ve started focus groups with my current drivers learning from them and they’ve been helping me find more drivers. We are even doing job fairs at restaurants and feeding our applicants and I feel like now I need to treat my drivers like clients and I think that’s going to be the secret to recruiting and retaining a great workforce. Fred Diamond: Do you have some drivers that have been with you for twenty some odd years? Kristina Bouweiri: Sure, I do. Fred Diamond: Interesting. Again, we’re talking to Kristina Bouweiri. Kristina, sales is hard. People don’t return your calls or emails, people are busy, you talked about some of the challenges along the way how the customer’s gotten more price conscious and the cost of entry to just become a company with a bus is actually very easy. What is it about the sales side that has kept you going? What is it about the sale side that has kept your director of sales going and keeps you focused on that part of the business? Kristina Bouweiri: I think it’s great that we have been in business 28 years and we’re about $28 million in revenue and we’ve never really had any outside sales people so Reston Limousine has grown to this size with just myself out there looking for leads and my director of sales managing a pipeline and then the only other component we have is an insights call center with about 8 people just answering the phone. We’ve grown to this size by building an incredible company, great reputation, great branding. We focus a lot on our website and we also have about 80 thousand people in our email database. We send out a fantastic email every 2 weeks giving people ideas on what they could do for the weekend whether it’s a wine tour or a concert. For 28 years we’ve been building a brand and also you know our buses are all over town so a lot of people call in just because they saw a bus. That’s really free advertising with our logo on buses all over town so we’re just very proud that we’ve been able to grow to this size and be the largest in DC with actually very few resources going into outside sales people. Fred Diamond: But you’ve always had that mentality. You’ve been out there, you’ve been hustling, you started things. I didn’t realize that 85% of your purchasers are women. You think of transportations being a male dominated industry, yet here you are, 85% of the people who made the order purchasing people at companies or hospitals or in the government, if you will, are women. Then you created all these things around that to support that and to help them grow. You gave a great description of the Sterling Women before but I’ve heard so many amazing things about the stories that are being told, so many things you’ve done just to build the confidence in the marketplace. That’s all about sales and having the courage to be out there and doing all those things. Kristina Bouweiri: I had one really fantastic idea I’d love to tell you about. Kristina Bouweiri: In 2009, we all were going through a recession and we were finding we weren’t winning any new business that year, and so we decided that instead of looking for new business we were going to go back to our current clients and just thank them for being our clients. I started taking 50 clients to lunch every single month and I found sponsors to help me pay for it. I found people in my network that might want to get in front of my clients and for 6 years I took 50 clients to lunch every single month, broke bread with them, got to know them, gave them my cell phone number and that idea alone increased my business by 27%. Fred Diamond: I’m going to leave this interview, I’m going to go back to my office and I’m going to schedule lunch for my clients. It’s so many things you’ve done here, Kristina. Obviously you’re well known in the region, you’re well known in your industry but there’s so many things that you’ve done that I didn’t even know about that are just really remarkable. I applaud you and I thank you, and for the people who are listening on today’s Sales Game Changers podcast, just listen to some of the themes, listen to some of the lessons that she’s learned along the way and how she’s continued to sell and grow during challenging times. Kristina, we have people listening to the Sales Game Changers podcast around the globe. Why don’t you give us one final thought to inspire them to help them take their sales career to the next level? Kristina Bouweiri: Get out there and meet people, stay in touch, save every business card you ever get, put it into your outlooks, keep track of the people you know. Stay in touch and your business will grow. Fred Diamond: Thank you very much. What’s the best way for our audience to reach you?